landscape of design ideas, ideals, and approaches. Dunne and Raby cite examplesfrom their own design and teaching and from other projects from fine art, design, architecture,cinema, and photography. They also draw on futurology, political theory, the philosophy oftechnology, and literary fiction. They show us, for example, ideas for a solar kitchen restaurant; aflypaper robotic clock; a menstruation machine; a cloud-seeding truck; a phantom-limb sensationrecorder; and devices for food foraging that use the tools of synthetic biology. Dunne and Rabycontend that if we speculate more -- about everything -- reality will become more malleable. 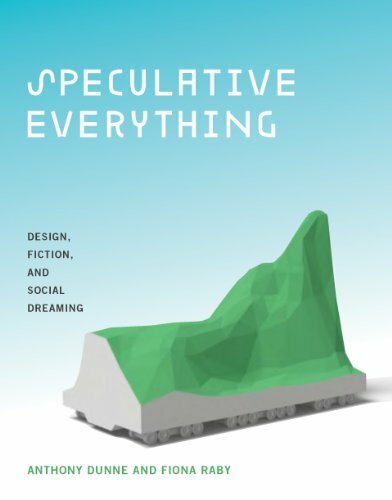 Theideas freed by speculative design increase the odds of achieving desirable futures. Fiona Raby is a Research Fellow at the Royal College of Art, London. She trained as an architect, & lived in Japan during the 1980s, where she worked for Toyo Ito.